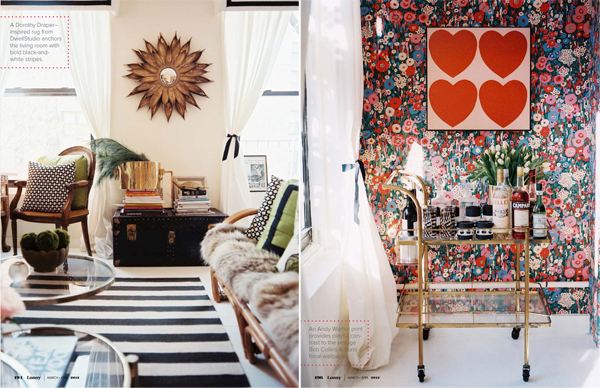 Lonny Magazine's March/April issue went live on Saturday and so I spent a good part of my Sunday afternoon looking at every single page. 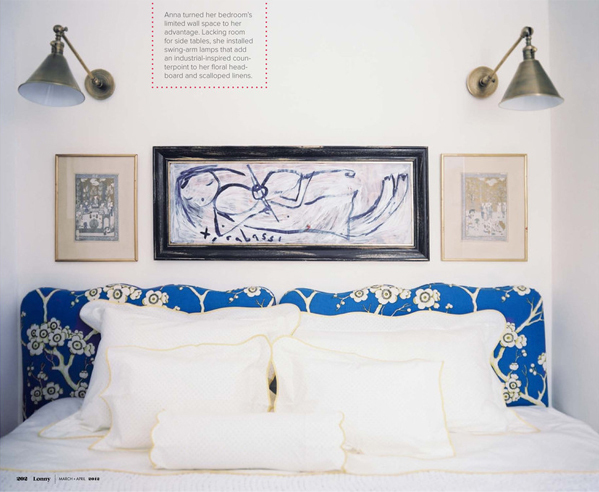 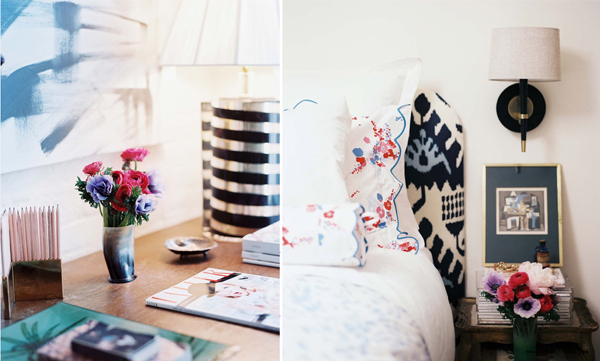 My favorite feature was on Anna Burke's bohemian West Village apartment. 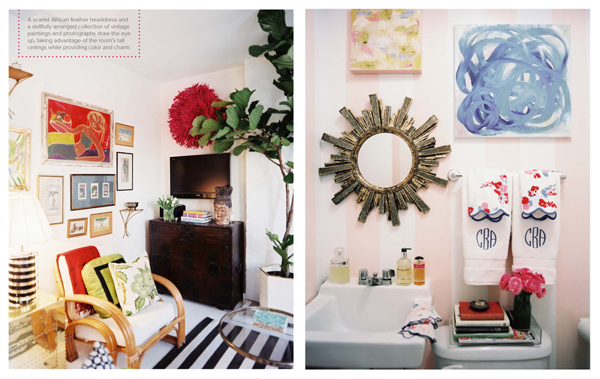 A lot of what is in her home are a cool mix of high-end furniture, bargain finds and DIY projects. 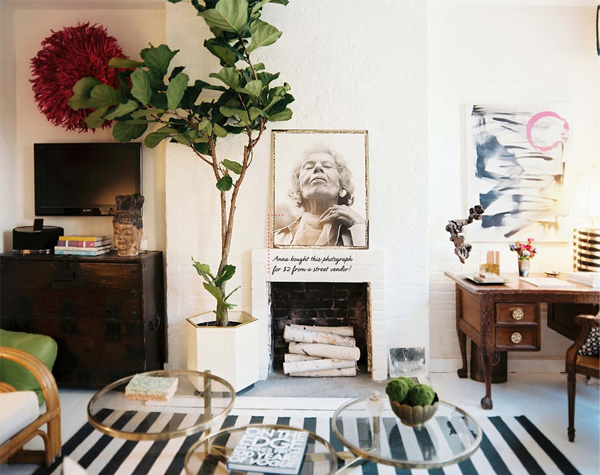 I'm particularly drawn to all the patterns and textures in this space, and I'm dying over the claw-footed Chippendale desk in the living room.